The price is for A LM-512CA preamp + a Pair of Line Magnetic LM-503PA Mono-block Audio Power Amplifier. Line Magnetic LM-512CA + LM-503PA Amplifiers come with a remote control and tube cage covers. Features: Point to point hand soldering circuit, the whole machine adopts single copper soldering. Using high-grade special craft and high quality wide range of EI type single-ended output transformer. Use 1 high-power Toroidal power transformer per channel. 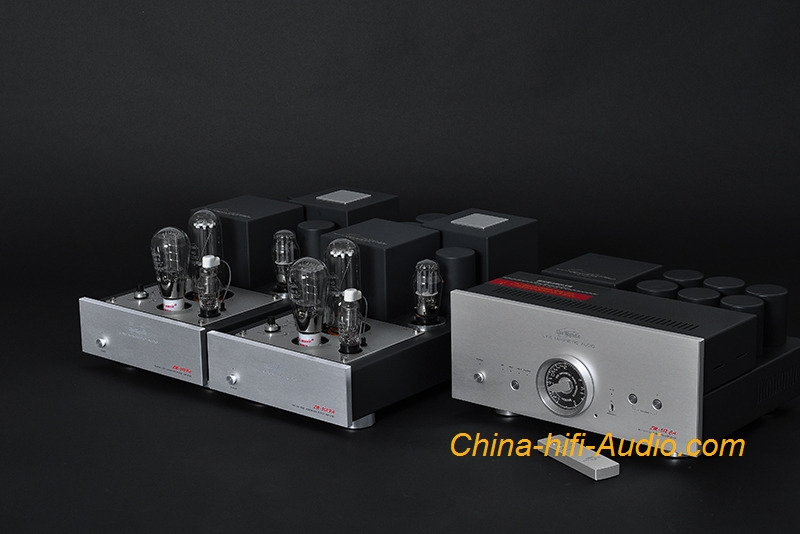 Preamp stage using the company design and development of 310A vacuum tubes, promote use 300B level. Power stage using one 845 vacuum tubes do class A single-ended power amplifier. Power tube current tuning knob and current display meter. The input has sound balance transformer input and RCA input selection. High voltage delay when turn on. Set up big negative feedback loop and small loop negative feedback, to adapt to the different requirements of listening. Convenient installation drawing plug-in valve cage cover. Voice is soft, pure and smooth, suitable for appreciation of various types of music.